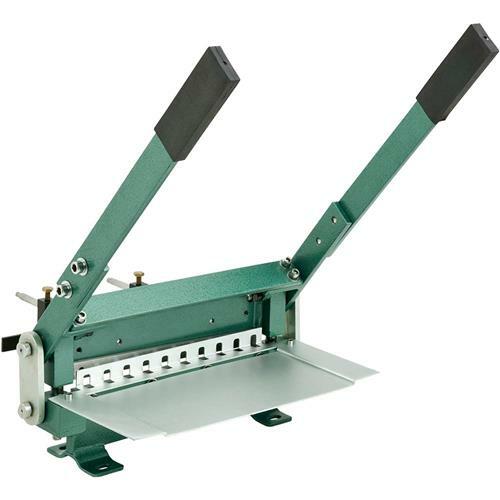 This bench top Hand Shear is perfect for smaller size projects that only require a cutting width of 12" or less. 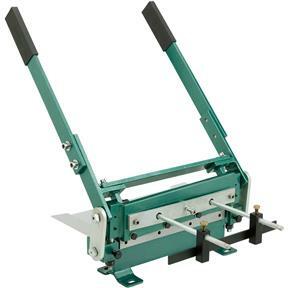 Ideal for one-off projects, or mass production utilizing the front and rear stops. Front stop scale range: 0–7-1/2"
Rear stop scale range: 0–9-1/2"
Approximate shipping weight: 40 lbs. Our Grizzly purchases were given to a son as gifts. Hearing no complaints means satisfaction! Quality was far higher than I had expected. The hardware was polished and fit and finish was excellent.